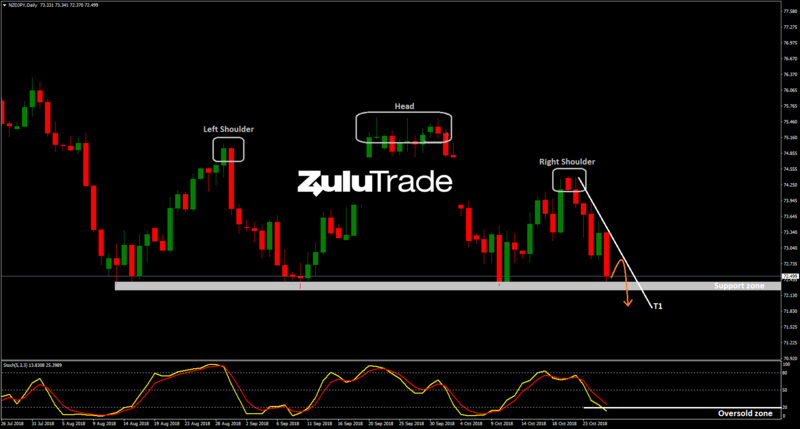 Viewing the technical aspect, NZDJPY has already formed a potential Head and Shoulders Pattern, indicating its long-term bearish continuation. Although, in short-term, the pair may bounce towards the trendline (T1), before moving back to the downside. This will be most likely, because the pair is currently testing the support zone and Stochastics is oversold. Heading to H4 timframe, RSI is oversold, while CCI has already formed a positive divergence. Both are acting supportively to the short-term reversal scenario as described above. 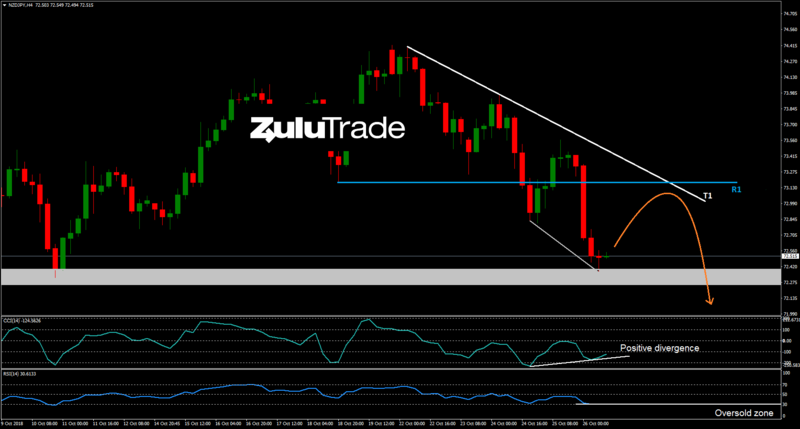 Then, the setup points out the bearish continuation, offering an opportunity for Sellers. On the other hand, a violation of the resistance (R1) to the upside indicates that the negative scenario is probably invalid. Today’s agenda includes Japanese CFTC NC net positions (Previous: ¥-100.6K), but it isn’t expected highly volatility.